Time until Ball Jacks release day! 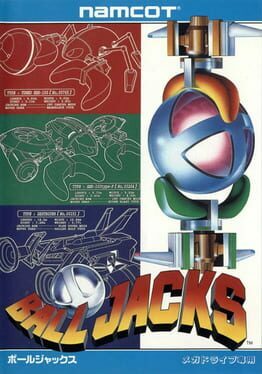 Ball Jacks (ボールジャックス) is a 1993 game for the Sega Mega Drive by Namco released exclusively in Japan and Europe. The game is a "sports game" with a unique sport involving grabbing balls from a conveyor belt on end end of the screen and dropping them into another. Whether or not this is a renamed port of another game is presently unknown.